On November 7, 2012, Kyle Coleman was arrested and indicted in the parasailing accident which caused the death of Bernice Kraftcheck. 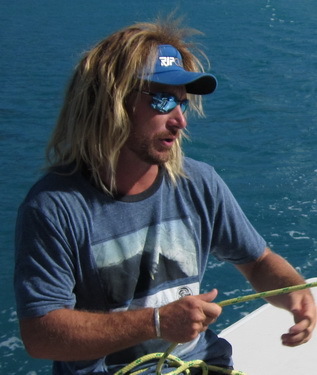 Almost a year ago to the day, Coleman, 32, was the captain of a small boat Turtle, in charge of performing parasailing excursions for Caribbean Watersports & Tours, a corporation based out of the U.S. Virgin Island. 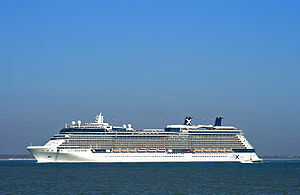 Bernice Kraftcheck and her daughter Danielle Haese were on a Celebrity Cruise at the time, aboard the Celebrity Eclipse. They purchased the St. Thomas shore excursion aboard the cruise ship. According to the indictment, when the mother/daughter tandem was lifted up in the parasail, the wind conditions were deteriorating rapidly. Within minutes, the tow-line broke due to increasingly strong winds, and caused the parasail and its two occupants to plummet from the sky and crash into the water. The force of the wind and the water condition were such that the parasail was continuously propelled and dragged the two passengers for several minutes, causing the death of Bernice and serious injuries to her daughter Danielle. Since these tragic events took place last November, the Coast Guard performed a meticulous investigation by marine casualty investigators and special agents from San Juan. The Coast Guard inspected the vessel and found numerous inadequacies, including an inadequate tow-line, and deficient vessel equipment. The master on the vessel was also unlicensed at the time of the incident. Based on these findings and countless witness accounts, Coleman was arrested and charged by a federal grand jury with being responsible for the accident. The one-count indictment is pursuant to 18 U.S.C.A. § 1115. Misconduct or neglect of ship officers. The statute provides in part that a captain employed on a vessel, by whose misconduct, negligence, or inattention to his duties, the life of any person is destroyed, shall be fined or imprisoned not more than ten years, or both. Last August, Cruise Ship Lawyers Blog reported that Coleman’s actions triggered the Coast Guard to start a master license revocation procedure against the boat captain based on his acts and failures which caused the incident. In the last 20 years, parasailing has become more and more prevalent and popular among tourists who come to Florida as well as cruise passengers. Unfortunately, a large majority of people ignore that the parasailing industry is entirely self-regulated, which is synonymous with lack of safety and oversight. As a result, there is a growing history of fatal and catastrophic parasailing accidents that have occurred in Florida and throughout the Caribbean. Leesfield Scolaro has represented many victims and their families who have been injured in parasailing accidents, and as a result has been at the forefront of the movement pushing for regulations, clear guidelines, and oversight of the parasailing industry. So far, Florida legislators have failed to pass the necessary laws to make this popular industry safe. The indictment of Coleman is one more piece of evidence that begs for the passage of laws and standards and there is renewed hope that the legislator will finally take note and act.